EPM Architects announced today that Prasanna Adavi, one of EPM Architects’ Directors, will be hosting a WebNLearn on Managing Resource Overallocations in Project Server 2010. EPM Architects announced today that Prasanna Adavi, one of EPM Architects’ Senior Directors, will be hosting a WebNLearn on Managing Resource Overallocations in Project Server 2010. The WebNLearn will take place on Thursday, August 9, 2012 from 12:00 PM to 1:30 PM (EDT). Synopsis: Resolving Resource Overallocation between projects is a common requirement for several organizations. At the same time the techniques for resolving Overallocations in a Project Server Environment are not understood well enough. While the techniques themselves do not vary too much from the ones used for stand-alone projects using MS Project 2010, it is important to keep the Server environment in perspective. The goal of this session is to cover these techniques in depth, as applicable to an organization using Project Server 2010. 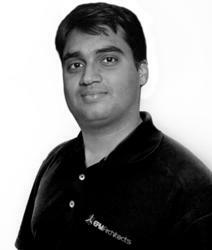 Prasanna Adavi PMP, MCTS is a Senior EPM Consultant with EPM Architects, Inc. He is also a subject matter expert in implementing Project Management and Portfolio Management processes for organizations using MS Project and MS Project Server platforms. He has extensive background in IT Project management across multiple domains like ERP Implementations (SAP), Application Development, Creative Services and Automotive. Keeping Users of Microsoft® Office Project Connected. MPUG delivers users relevant and independent Microsoft Project Management content, resources, opportunities and community networking worldwide. MPUG connects thousands of project management practitioners -- to help them better leverage their investment in Microsoft tools such as Microsoft Project, Excel and Sharepoint for Project Management and ultimately advance their businesses and careers. EPM Architects is an Enterprise Project and Portfolio Management consulting firm focused exclusively on the Microsoft EPM solution, mainly Microsoft Project and Project Server. EPM Architects is a Microsoft Gold Certified Partner in the Project and Portfolio Management competency. As the largest EPM company in the region and one of the leading Microsoft EPM companies in the US, EPM Architects is the "go-to" EPM company for implementation, development, and support. EPM Architects also has the largest dedicated Microsoft EPM Training center in the country providing the most comprehensive training curriculum led by some of the leading subject matter experts in the industry. EPM Architects’ clients consist of Global 50, Fortune 50, 100 and 500 companies as well as small to mid-sized companies in several industry verticals. For more details on EPM Architects’ products and services, please visit their website at http://www.epmarchitects.com or call them at their Houston office at 713.400.9200 or toll free at 1.888.444.3762.